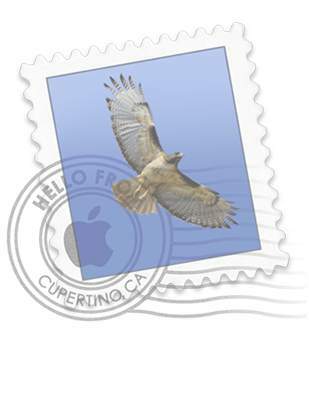 “Mail” is the standard email client application that comes with OS X. 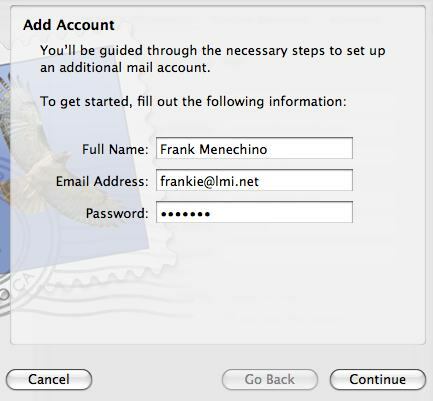 The following instructions were written for Mail version 3.4, but are applicable to any version of Mail since OS X 10.4 came out. Open the Mail application. If you have never opened it before, it will automatically open the New Account assistant. Otherwise, select “New Account” from the File menu. Our server supports both POP and IMAP connections. If you are unsure what to choose, read this. 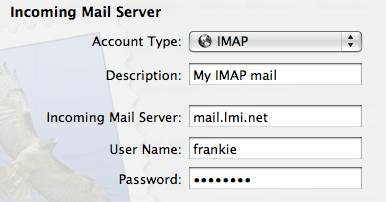 For the sake of this example, we’ll select IMAP. If you choose POP, the process is the same. The description can be anything you wish. 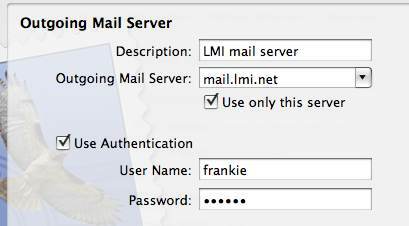 The Incoming Mail Server is mail.lmi.net for both POP and IMAP connections. Fill in your server User Name and Password, then click Continue..
We recommend using SSL security, so your password is encrpted before sending over the net. Use Password authentication. Click Continue..
Again, we recommend using SSL security for outgoing email, since your email password is being sent. Click Continue and you will see a summary of everything you have done. One more click and you’re done!